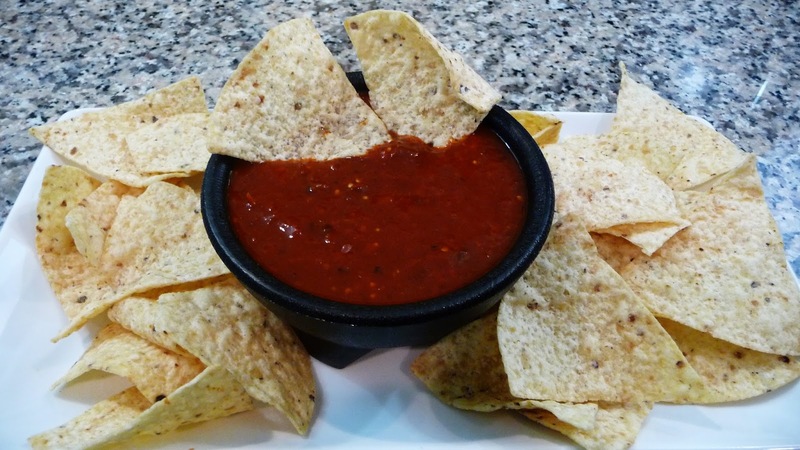 Here you have three delicious salsas to spice up all your food! Heat up a large skillet or griddle and rub it with a bit of oil, then pan roast the tomatoes, onion and garlic for about 5 minutes or until they are soft. Flip them around a couple times so they will roasted on all sides. (Cut the tomatoes in half so they will roast faster). Once everything is pan-roasted place all these ingredients into the blender and add in the chipotle peppers, one cup of water and the cilantro, season with salt and pepper to taste, and blend on high until you get your desired texture. Taste the flavor add more salt and pepper if needed. 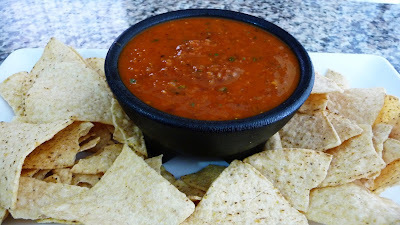 Then the salsa is ready. Enjoy. Peel off the tomatillos and rinse them with warm water, then cut them in half. Preheat a skillet or griddle on high heat and toast the tomatillos, onion and garlic for about five minutes or until soft. Flip them around they will toast on all sides. Place them in large bowl. Toast the chilies on each side for about 40 seconds to a minute on each side. Place the chilies with the rest of the ingredients. Pour about four cups of water into the bowl with all the ingredients, and set this aside for about 15 minutes. After 15 minutes, place all the ingredients into a blender, add about one cup of water, and add the fresh cilantro, salt and pepper to taste, blend on high for about 5 minutes or until you get a soft sauce. Then taste the flavor add more salt and pepper if needed, and if you want you can strain the salsa before serving it. Enjoy. You need a mortar for this one. Wash the tomatoes and the serrano peppers. Once all the ingredients are toasted. Now start by placing the Garlic and whole black pepper on the mortar, season with salt and grind until the garlic is pureed, then add in the serrano peppers and grind them until you get your desired texture. Then add in the Tomatoes and grind them with the rest of the ingredients until well combined and until you achieve your desired texture and consistency. 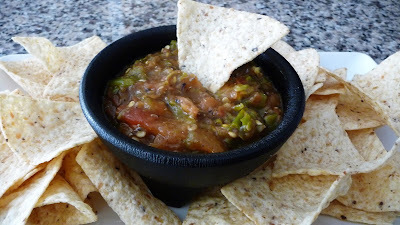 Taste the flavor add more salt and pepper if needed and once you are happy with the flavor the salsa is done. Hey, I'm Sandy! 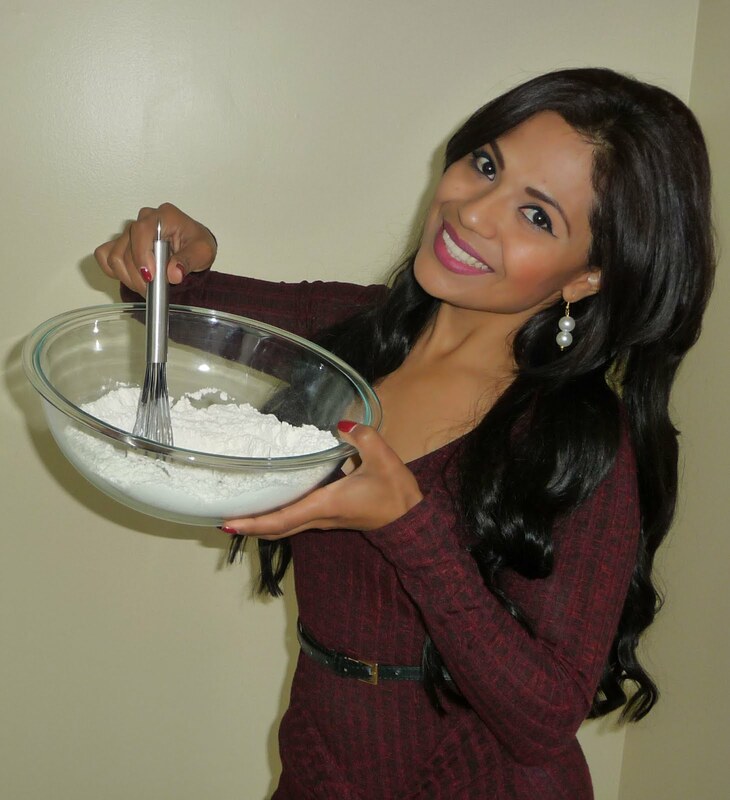 I cook easy, delicious recipes for any day of the week or any Special Occasion. For Meat lovers, vegetarians, healthy choices, desserts and anything you can think of, you will find it here! Enjoy!